HomeStarr Realty was founded in 2006 by Jerry Hill. Jerry who is the broker and owner of HomeStarr started his career at Re/Max Premier in 2003. He was the Office's Top Producer for 3 of his 4 years at Re/Max, however shortly later decided to start his own company when Re/Max Premier was sold to new ownership. Jerry then founded the company HomeStarr Realty with the idea that agents should be able to work at a Real Estate Brokerage and not pay high monthly bills. HomeStarr offers agents a 90% split of all of their commission for a low monthly desk due of $150 which includes everything mandatory including your E&O insurance. HomeStarr's business model is allowing the AGENTS to start making MORE MONEY. The business model also allows us to save our clients a great deal of money and in return increase our business volume. HomeStarr Realty has offices at six locations. Warrington (it's Headquarters), Montgomeryville, Southampton, Bensalem, NE Philly, and its newest office in New Hope. In addition to its six locations, HomeStarr has made several acquisitions and joint ventures with other local real estate companies and continues to rapidly grow. HomeStarr Realty now currently has over 200 licensed agents working for the company among its six locations. HomeStarr Realty continues to be one of the top producing real estate companies in the area specializing in servicing Philadelphia, Bucks and Montgomery counties. 2010 was the year I joined HomeStarr Realty. By 2012 I became a top producing agent and received several awards & high rankings from various national real estate companies for total production. In 2013 I developed The Mike Bottaro Team. For the year 2014, I personally sold 46 homes totaling over $8M in real estate sales volume and selling well over 50 homes for the year as a team. In 2015, I personally sold 53 homes totaling $11.3M in real estate sales volume and selling over 60 homes for the year as a team. In 2016, we sold 74 homes totaling $16M in real estate sales volume. In 2017, we have sold 85 homes totaling $20M in real estate volume. 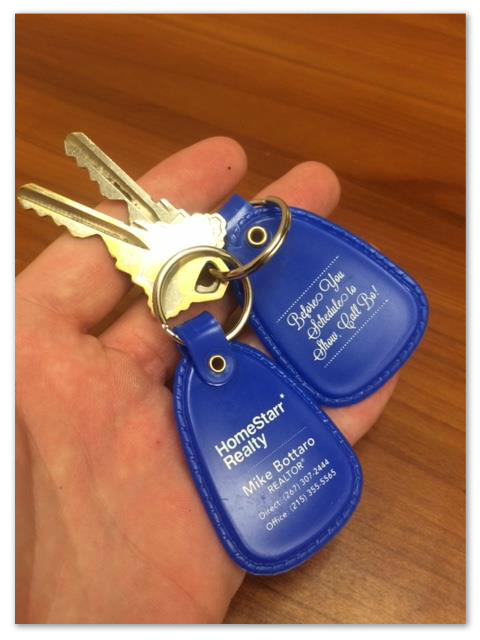 It is an extremely exciting time for HomeStarr Realty as our beautiful headquarters up and running 850 Easton Rd. in the heart of Warrington. It is the large stone building across from Bertucci's and is the oldest building currently in Warrington. In 2016 I was also fortunate enough to obtain my associate broker license. In 2017 we opened our 6th and newest office on Lower York Rd in New Hope, just above Peddler’s Village. BEFORE YOU SCHEDULE TO SHOW, CALL BO! Content copyright © 2019 Mike Bottaro Realtor. All rights reserved.